Sir Arthur Conan Doyle completed a year of Sherlock Holmes stories by writing The Adventure of the Copper Beeches for the Strand Magazine. 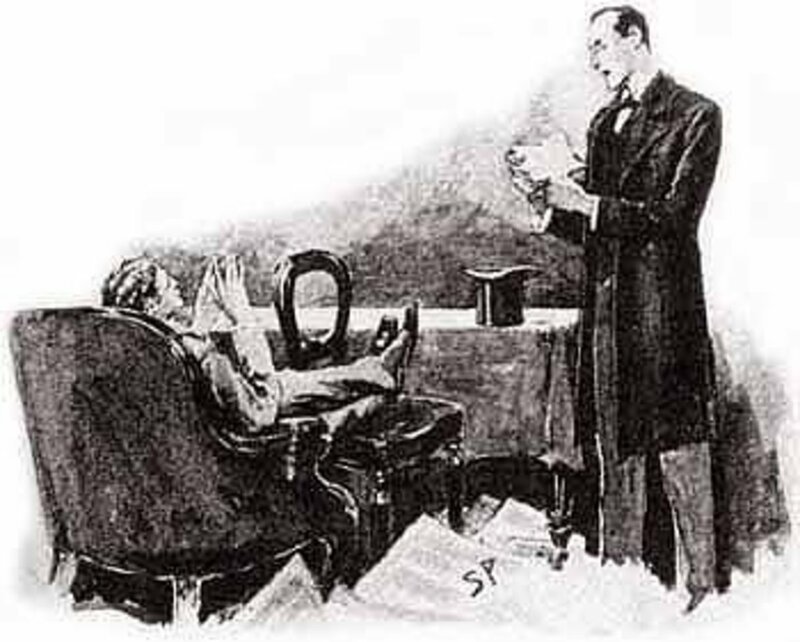 In the short story, Sherlock Holmes is looking for an interesting case, and a strange one is present to him when Miss Violet Hunter tells him of his employer’s strange requests. The Adventure of the Copper Beeches was published in the Strand Magazine in June 1892, with The Adventure of the Beryl Coronet published the previous month. The work from Sir Arthur Conan Doyle was the twelfth short story to feature Sherlock Holmes. As the twelfth short Sherlock Holmes story, The Adventure of the Copper Beeches would be republished in 1892 as the concluding story in the compilation work, The Adventures of Sherlock Holmes. By the time The Adventure of the Copper Beeches was published, Sherlock Holmes had dealt with a wide range of criminal cases, taking in murder, theft and blackmail. Intermixed with these criminal cases though, were cases that were not necessarily criminal, including the likes of The Adventure of the Noble Bachelor. It seemed that The Adventure of the Copper Beeches would fall into this latter, non-criminal case, with the client simply reporting some strange requests made of her by a potential employer; but there is a darker side to the story, something that goes beyond the eccentricities of an employer. The Adventure of the Copper Beeches contains no great mystery for Sherlock Holmes, or the reader, and as a result, the story is simply one where the narrative is allowed to run its course. The lack of mystery though, doesn’t make the story a bad read, and in its own way is a memorable Sherlock Holmes adventure. The Adventure of the Copper Beeches has been dramatised by both the BBC and Granada. In 1965 Douglas Wilmer would appear as Holmes in an episode of Sherlock Holmes, whilst 20 years later, Jeremy Brett would reprise the role in The Adventures of Sherlock Holmes. 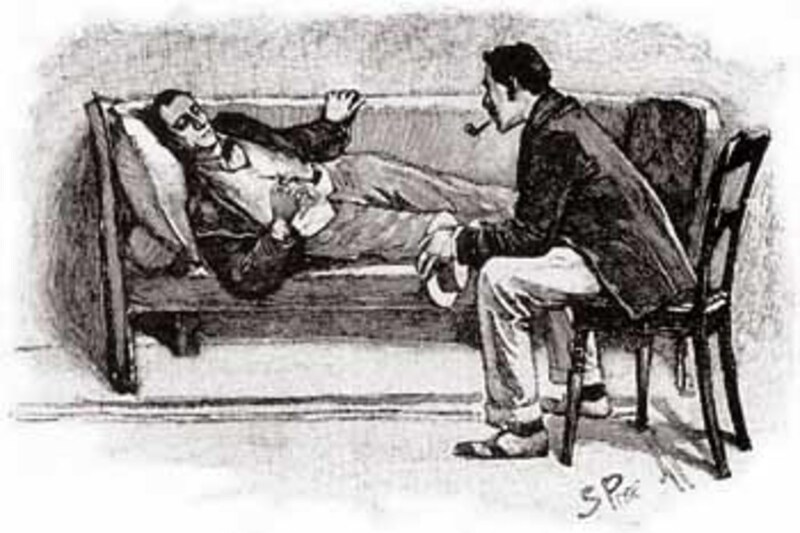 The Adventure of the Copper Beeches commences with Sherlock Holmes in a strange mood, with the detective in the doldrums due to a lack of stimulating cases to deal with. 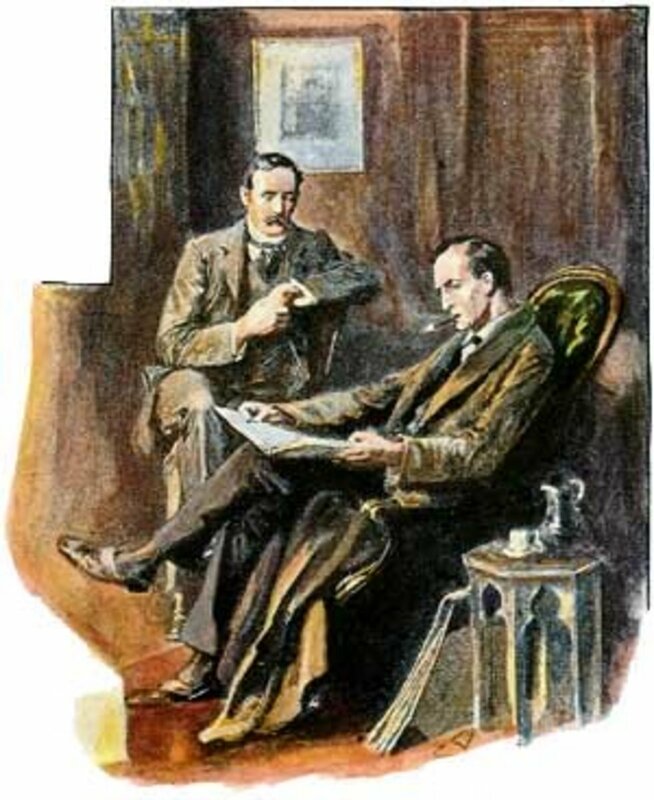 Holmes both compliments and criticises Watson about his reporting of the detective’s cases. 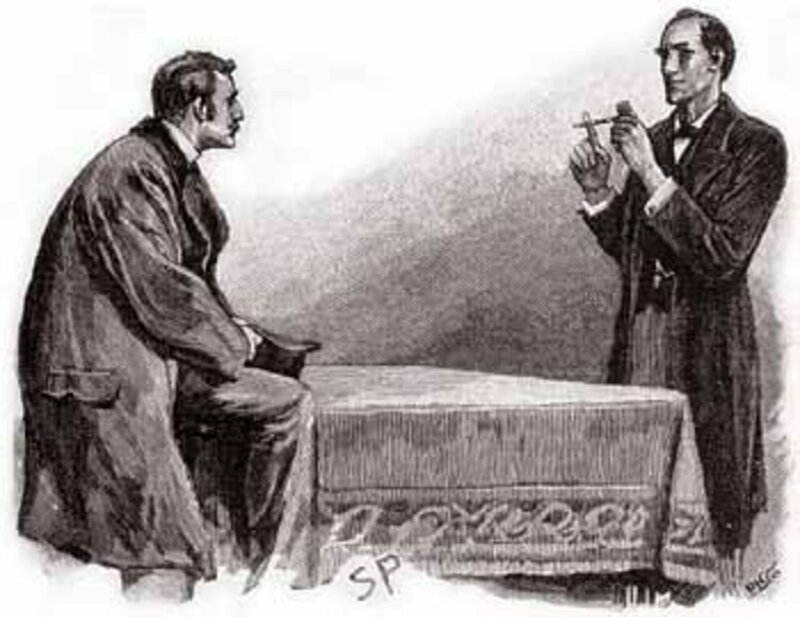 Holmes believes that the stories so far recorded by Watson have been mundane, and whilst Holmes is thankfully that Watson has steered clear of the sensational, he wishes that the more challenging cases were the ones that had been reported. Holmes also wishes that the reporting were more scientific in their narrative, rather than the human element that Watson insists on including. 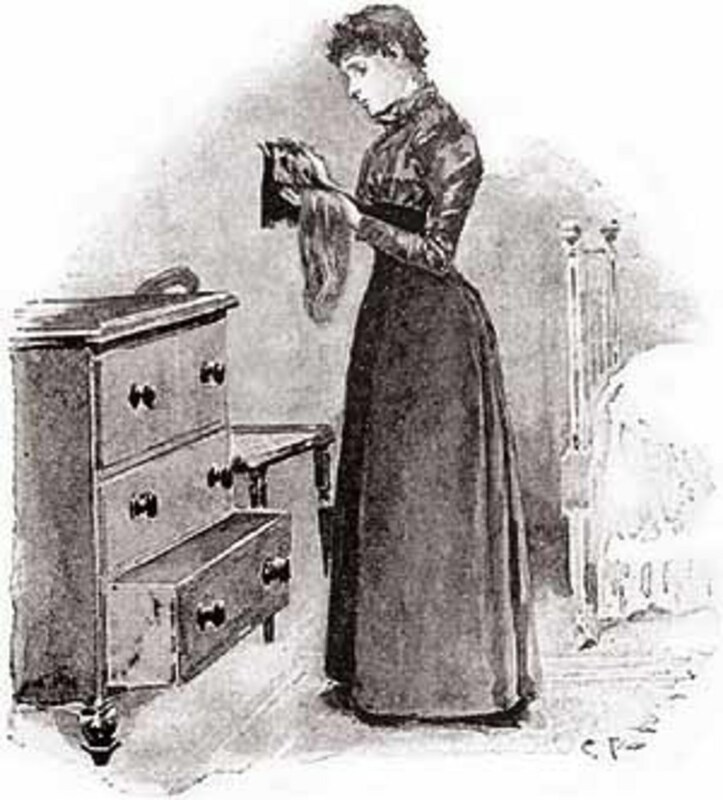 A client is due, but even this doesn’t relieve Holmes’ mood, as the case doesn’t seem likely to intrigue; the prospective client, Miss Violet Hunter, simply wants to consult Holmes about whether she should take up the offered position of governess. When she arrives, Violet Hunter tells Holmes of her problem. Violet Hunter is employed, via an agency, to act as a governess for wealthy families. A job offer has been presented to her, one which pays double her current salary, with some of the money upfront. There are though, stipulations that come with the job offer, for although she would simply look after a single six year old boy, she would have to make alterations to her appearance. Violet Hunter would be required to cut her hair short, as well as wear particular clothing. Whilst the extra money would be welcome, Violet Hunter has been reticent about taking the job, as she loved her hair immensely. Miss Hunter though wanted Holmes to decide whether to take up the job offer from Jephro Rucastle, and travel down to his house, the Copper Beeches, in Hampshire. 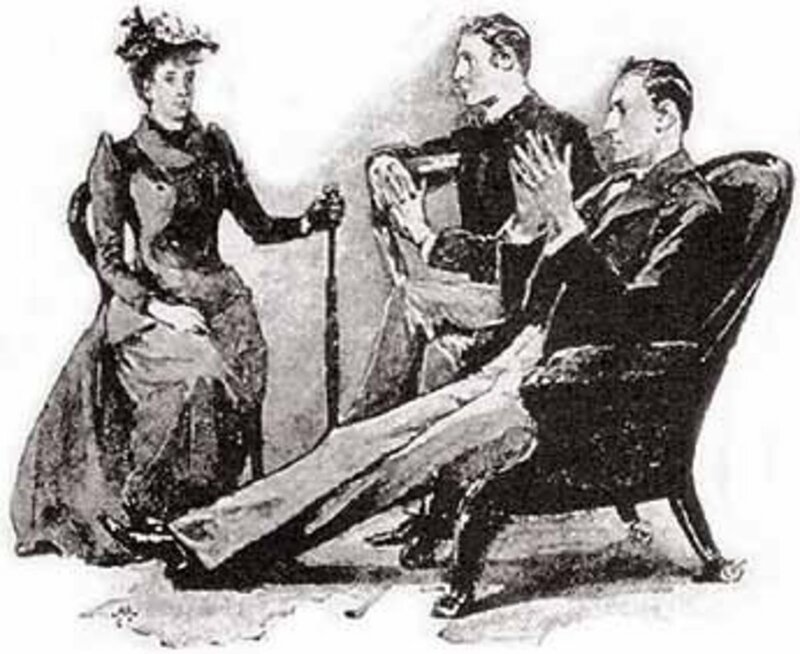 Holmes advises Violet Hunter against taking the advice, but despite coming to consult Holmes, it is obvious that Miss Hunter intends to accept the job offer. Therefore Holmes simply offers his assistance, stating that he would be available day or night if any trouble arose. It is obvious that Holmes senses some danger ahead. This danger seems to have manifested itself, when, two weeks late, a telegram arrives for Holmes late at night. The telegram sees Holmes and Watson take the early train down to Hampshire the next morning; and near to Winchester, the pair meet Violet Hunter in the Black Swan inn. The governess then starts to relate a strange tale. Violet Hunter now resides at the Copper Beeches, living alongside Mr Rucastle, Mrs Rucastle (Jephro Rucastle’s second wife), their son, the “awful” Edward Rucastle, and two servants, Mr and Mrs Toller. Mr Toller is normally drunk, even when he looks after the mastiff guard dog, whilst Mrs Toller is very secretive. It also seems that previously a daughter of Mr Rucastle had lived at the house, but she had previously left for America. The household was a strange one, but so were the requests of her employer. Violet is often asked to wear a specific blue dress, and to sit in a specific chair in the drawing room. This seat sees Miss Hunter with her back to the window. On a couple of occasions Mr Rucastle had recited hilarious stories, which had Violet in stitches, but had left Mrs Rucastle unmoved. 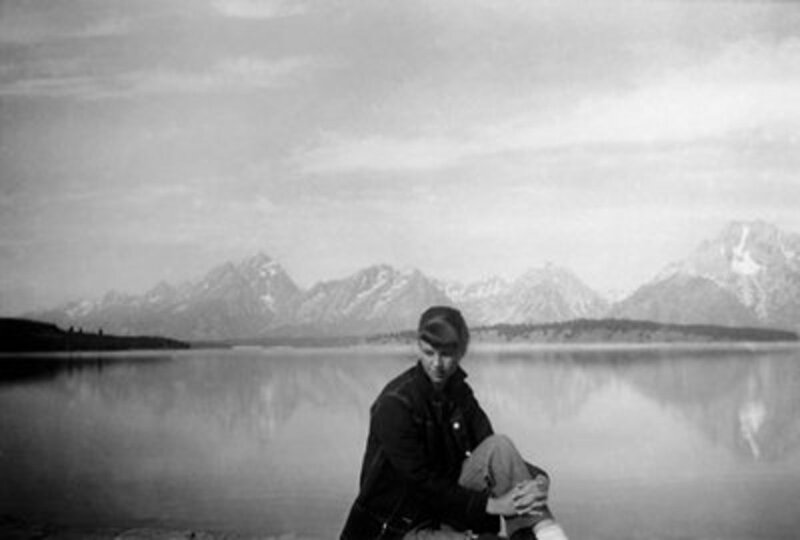 Taken with the strange positioning of the chair, Violet Hunter had secreted a mirror in her handkerchief, and whilst she sat in the chair, was able to glimpse sight of a man in the grounds behind. Subsequently, Mr Rucastle had asked Miss Hunter to wave the man away. Everything that Miss Hunter had experienced, had led her to make an exploration of the Copper Beeches. There she had found some locks of hair, identical to her own, and also had discovered a locked room. Mr Rucastle explains the locked room as a dark room for his photography, which would explain the dark shutters on the outside, and warns the governess against future exploring; but Violet Hunter is not fooled by the explanation, especially when she finds that the room is occupied by an unknown individual. All of this has lead Miss Hunter to call Holmes down to Hampshire. 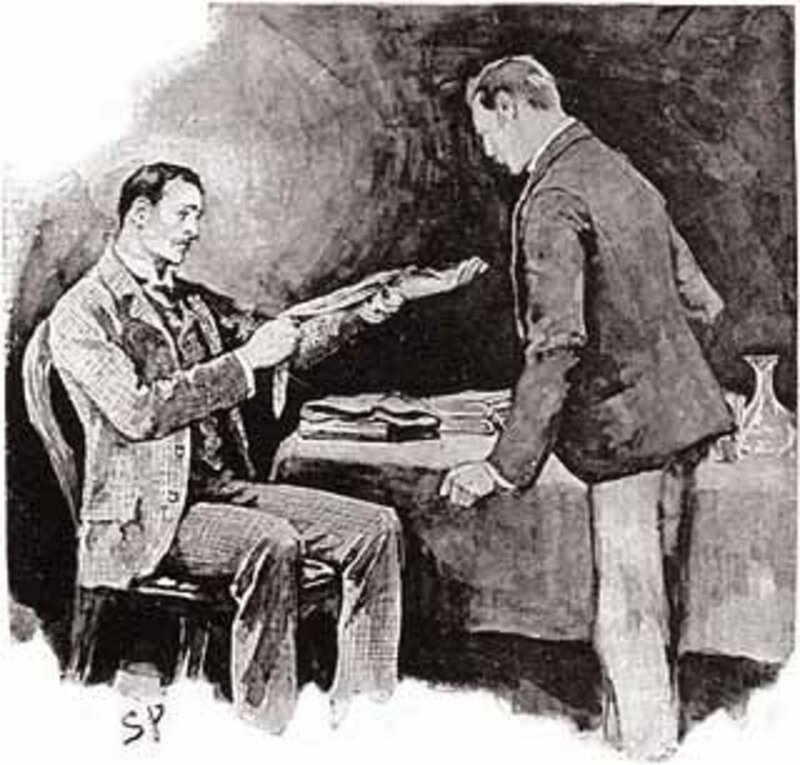 Holmes quickly arranges for himself and Watson to pay a night time visit to the Copper Beeches; picking a time when Mr Toller is drunk, and the Rucastles are absent. Violet is given the task of locking Mrs Toller away in the cellar. Holme has already figured out, that Miss Hunter is substituting for Mr Rucastle’s daughter, obviously the person locked in the room, and that the man in the grounds is probably the daughter’s fiancé. Mr Rucastle had trying to convince the man that he was no longer welcome at the Copper Beeches. That night, Holmes and Watson do gain access to the Copper Beeches, and even make their way into the locked room, but find it empty. 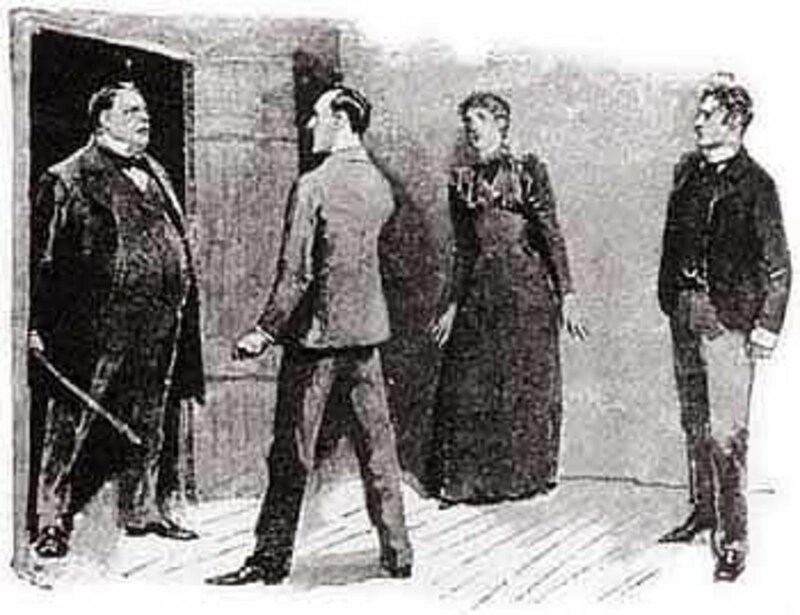 Holmes initially thinks that Mr Rucastle has killed his daughter, as they find a ladder leading up through a skylight. At that time though, Mr Rucastle returns, and the homeowner thinks that Holmes is one the one who has freed his daughter, and so Mr Rucastle goes to get his guard dog. Shortly afterwards, Holmes and Watson hear a scream, and it is apparent that the mastiff has attacked his owner. 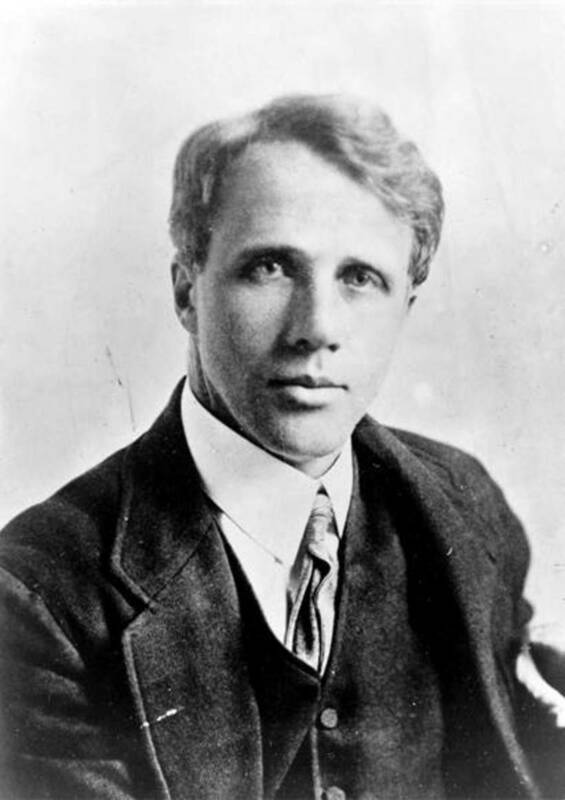 Mr Toller drunkenly stumbles on the scene, and the three of them run to aid Mr Rucastle, and Watson shoots the dog, and then seeks to aid the injured man. It is left to Mrs Toller to explain everything. Mrs Toller had been fond of Mr Rucastle’s daughter, and had comforted her when her father had mistreated her. Alice Rucastle had been left a large inheritance by her mother, and Mr Rucastle wished to get his hands on it. Alice Rucastle had been locked away in an attempt to make her sign over her fortune, and of course she had been cut off from her fiancé, a Mr Fowler. The fiancé though, had stayed true to Alice. All of the stress had seen Alice Rucastle have to cut off her hair, hence the haircut required of Violet Hunter. It was Mrs Toller who had aided the escape of Alice Rucastle, putting a ladder against the skylight, allowing Mr Fowler to rescue Miss Rucastle. 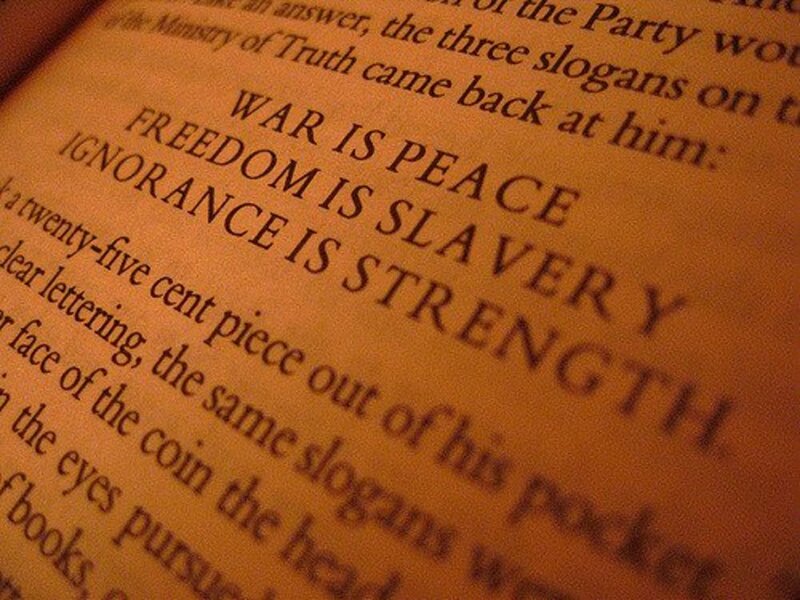 Everything seems to have been explained, but Watson records some follow up information. Mr Rucastle was badly wounded by his own guard dog, and is subsequently confined to the Copper Beeches; there, he is looked after by his wife, as well as Mr and Mrs Toller. Mr Fowler and Alice Rucastle start a new life together in Mauritius, whilst Violet Hunter becomes a successful headmistress of a private school. Watson also writes of his hope that Miss Hunter and Sherlock Holmes might have become romantically involved, but the detective, whilst admiring her bravery and resourcefulness, loses interest in her after the case is closed.